You’ll stay one night each in Paris, Sens, Avallon, Chalon-Sur-Saone, Saint-Claude before arriving into Geneva. 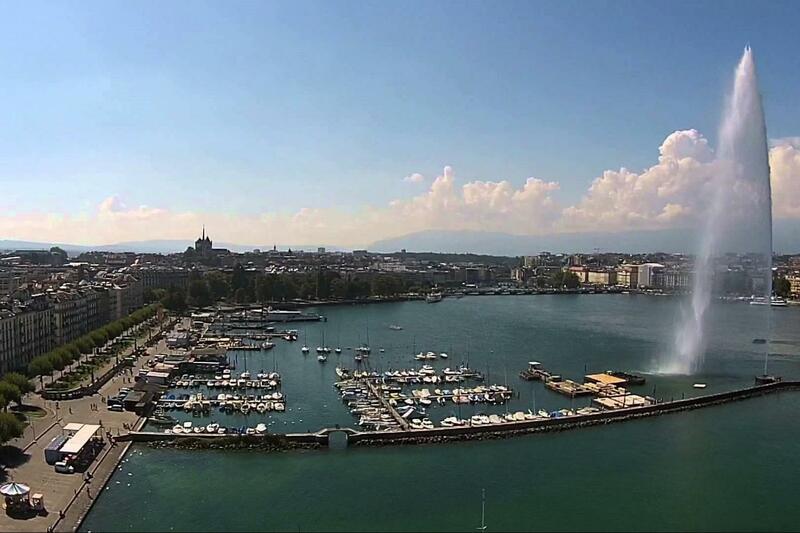 In Geneva, you can take time to soak up the atmosphere in its many restaurants and cafés or walk along the shore of Lac Leman where you witness the amazing Jet d'Eau fountain, or start your journey back to the UK. We normally run this Paris to Geneva Cycle over 5 nights, (5 cycling days), arriving in Paris on Sunday and cycling Monday to Friday. However, if you would like to do this at any other time, then please contact us. Make your own travel arrangements to arrive in Paris the day before the start. Relax and enjoy this amazing City. 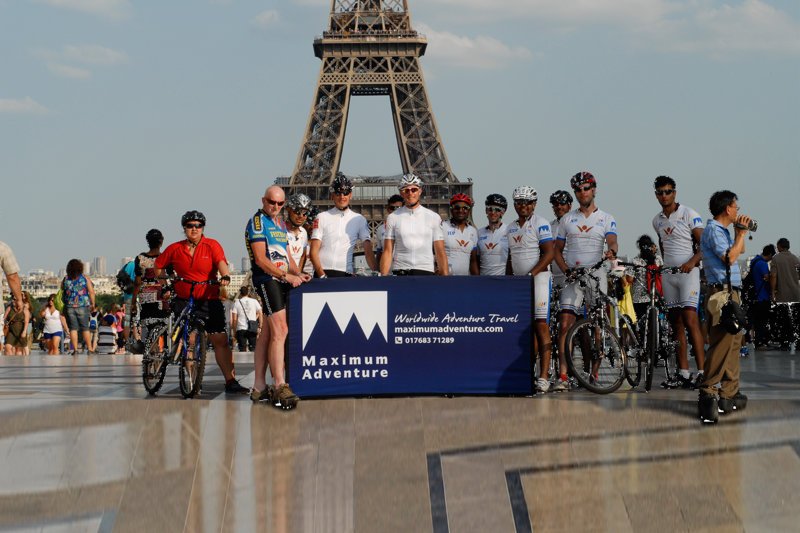 Day 1 - Paris to Sens: Typically we meet at 08.00am under the Eiffel Tower in Paris to start riding at 08.30am. The route takes us across Paris and on to the quieter roads and tracks south-west out of the City. The countryside around Sens is known as Burgundy’s granary: cereals and orchards predominate. The town grew up on the River Yonne and has the Cathedral St-Etienne at its centre. Sens is small and easily accessible by bike, with the main points of interest radiating out from the cathedral. Day 2 - Sens to Avallon: After breakfast we continue cycling towards the foothills of the Alps and deeper into the Burgundy Region. The route heads out into the country, passing through numerous small villages. We finish the day in the town of Avallon. Placed centrally in Burgundy, Avallon has been important strategically in history. This fortified town lies between two ravines and from the ramparts you can look across the rooftops to the Valley of the Cousin. 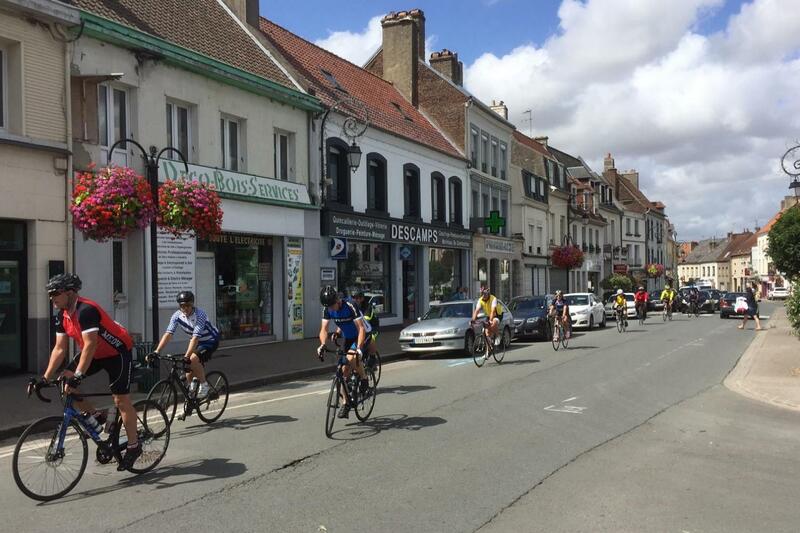 Day 3 - Avallon to Chalon-sur-Saone: The day starts with a ride through the town centre, then out into open countryside. The roads used are in good condition, although narrow and single lane in places. We end the day in Chalon-sur-Saone. Chalon is in the wine growing area and is famous for wines such as Mercurey, Givry, Montagny and Rully. 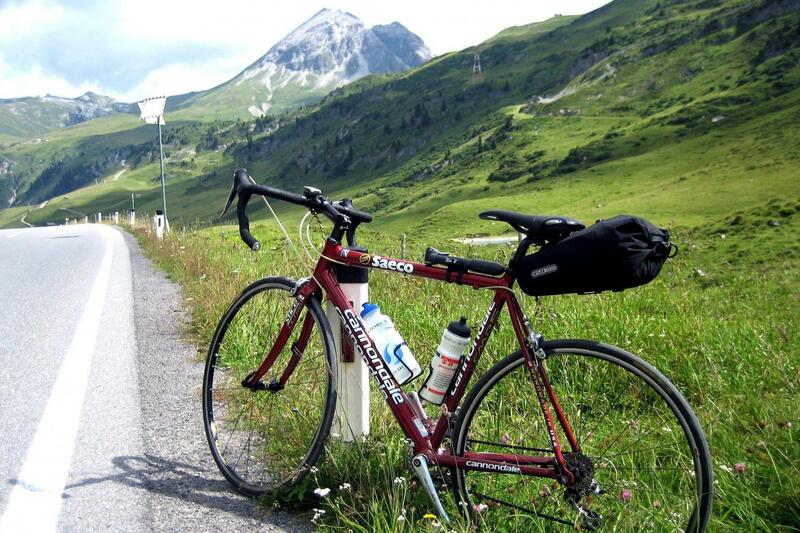 Day 4 - Chalon-sur-Saone to Saint-Claude: Today we start climbing, with a total ascent of 1200m. We end the day and stay overnight in the small town of Saint-Claude which lies in the heart of Haut-Jura, in the Haut-Jura Nature Reserve. It's a small town surrounded by mountains and rivers- the perfect place to relax in the clear air following your day in the saddle! The 2017 Tour de France passed through this town. Day 5 - Saint-Claude to Geneva: The final day and the final push up through the mountains. The highest point is at 1330m about 24km in, then there is the long descent down to the town of Gex and finally into Switzerland and onto the lake shore by Geneva. The trip ends here. Either stay a night in Geneva or return late afternoon or evening to the UK. Pay a £199 deposit and confirm with your charity their minimum fundraising requirements for the balance. This will typically be double the cost of the adventure, less the registration fee. 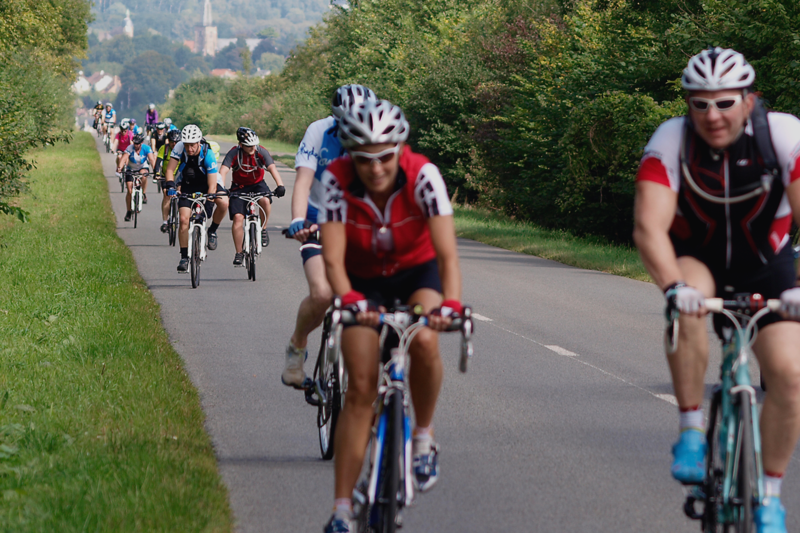 You can join any of our open Paris 2 Geneva cycle events just select the date of your choice opposite and enter the name of your chosen charity in the group/charity section. For more details of how fundraising works please read our step by step guide here or contact us for help. 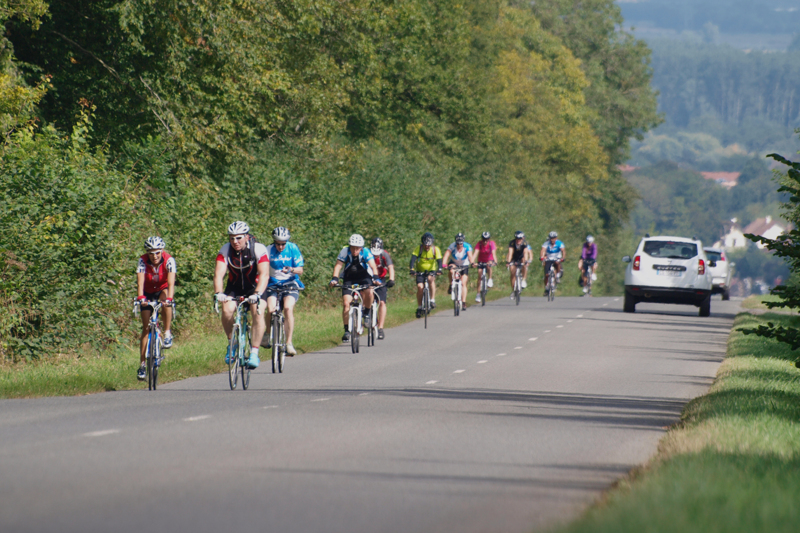 We run the Paris 2 Geneva Cycle as an open or bespoke event. Our open events normally runs Sunday to Friday, from May to September. For bookings of 10 people or more, we also run this as an exclusive event on the dates of your choosing. To book any number of participants on to an event, simply select the date in the calendar and follow the booking procedure. You will then receive an automated confirmation and full details will follow from our office in due course.